This lil dog has got it goin' on. We're not sure what he's thinking behind those sweet shades and slight smirk, but it's gotta be good. Maybe he's heading out for a fun vegan waffle date with his favorite gal. Maybe he's about to say, "hey bro, veganism IS radical" then do a kick-flip and skate off into the sunset. What's his secret? We don't know. But we are along for the ride. 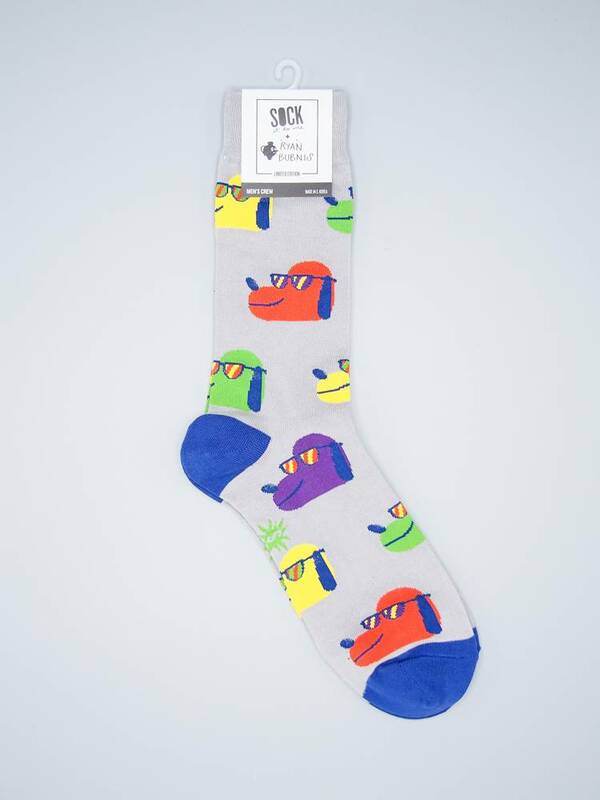 Wear these chillest of crew socks to achieve an effortlessly cool vibe. 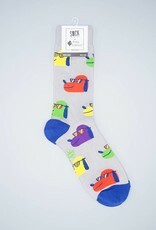 When you're wearing these bad boys, you're in for a good time!